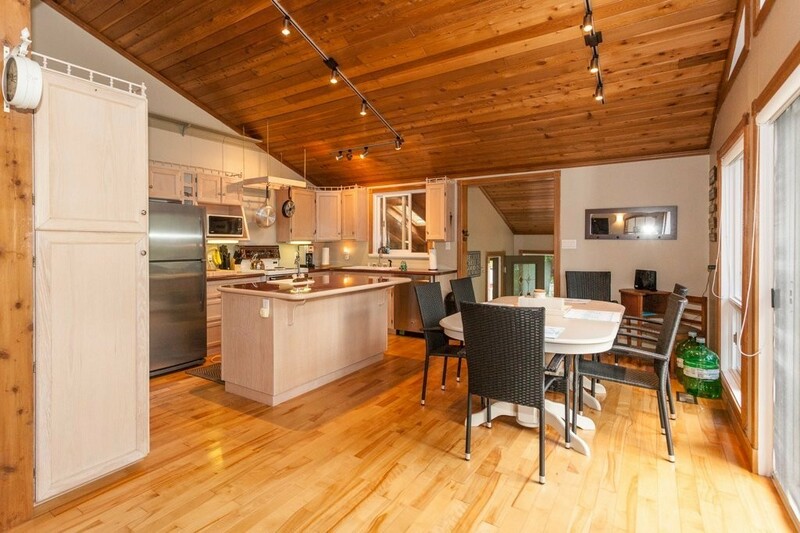 Enjoy sunsets every night at this tranquil and picturesque cottage setting. 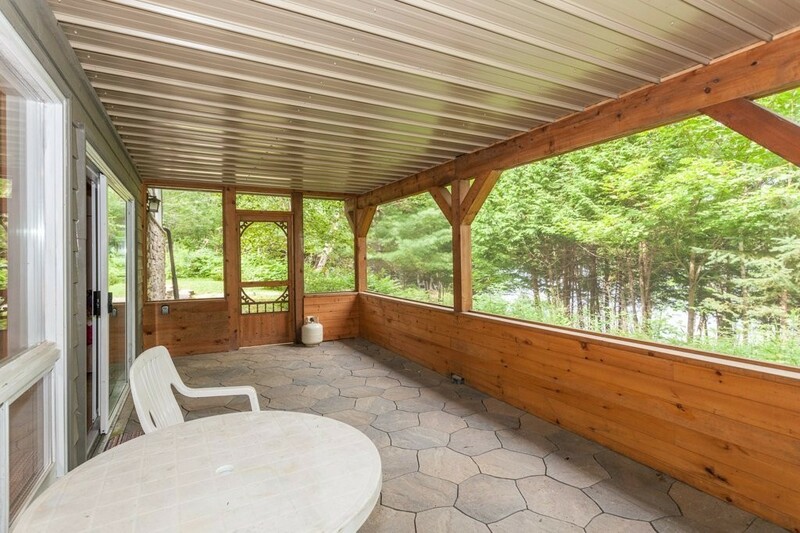 Over looking the clean and quiet South Portage Lake, there is a beautiful meandering pathway leading to an upper deck and lower dock to lounge on! 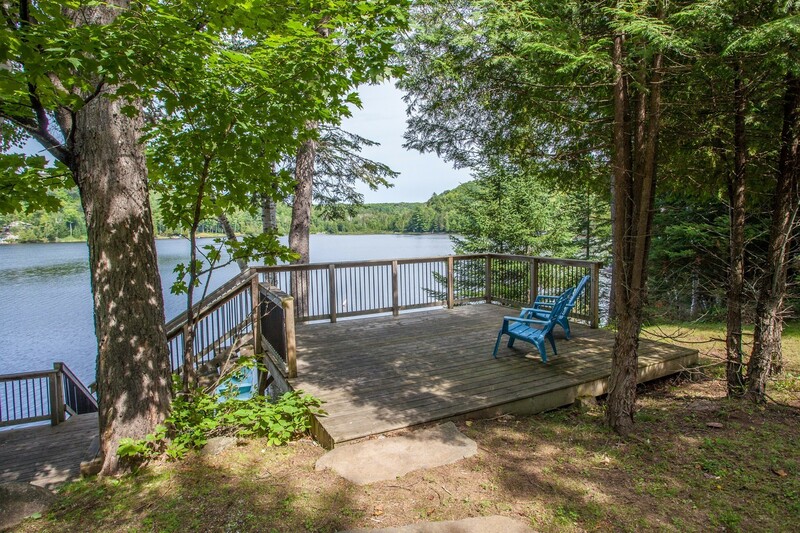 Peace and serenity await yet minutes to the village of Haliburton. Inside Bella Vista you will find three large bedrooms and two full bathrooms. 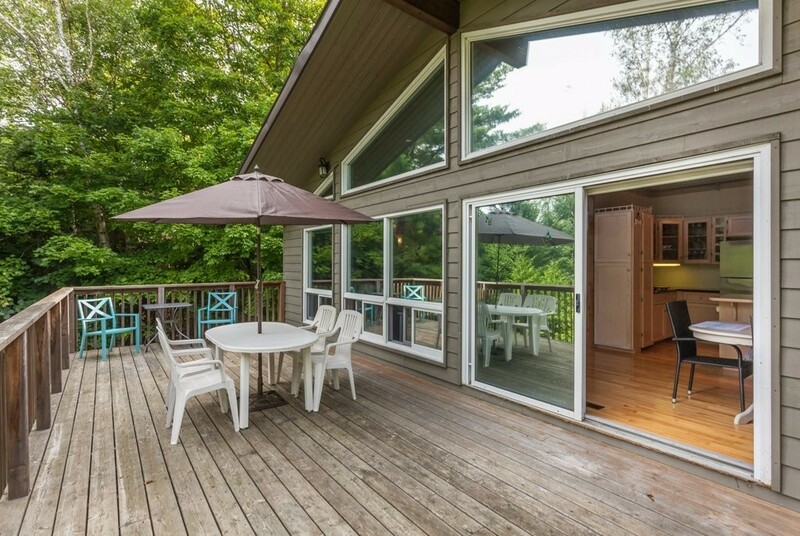 Enjoy an open concept kitchen, dining room and living room with a great view! A full walk-out basement with a 26 X 10 screened room is yours to enjoy if the weather or bugs aren't cooperating. Two fireplaces for cold days and evenings to cozy up to. In addition to the three bedrooms, the lower level rec room also includes two double beds, perfect for kids or extended family! There is a fold down futon at the cottage for additional sleeping. Looking to spend some time outdoors? Enjoy the family pedal boat, row boat, and two kayaks there for guests to use. (One adult and one child kayak - under 140 lbs.) We also have a variety of life jackets as well! Catch your supper fishing in South Portage Lake and cook for your family on the supplied BBQ. 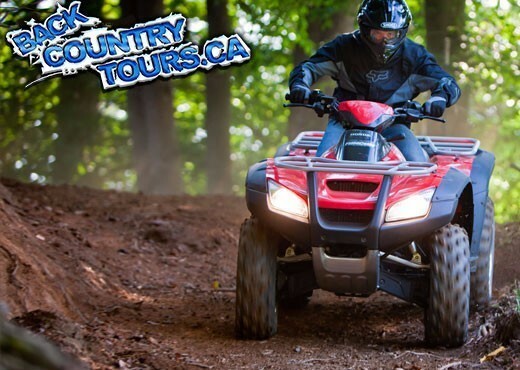 If looking to do a little more adventuring, how about Back Country ATV and snowmobile rentals and tours?, or the Haliburton Forest and Wildlife Reserve? See these links and more listed lower on this page along with many more attractions! There is so much to see and do at Bella Vista I'm confident your family will be repeat guests for years to come! Dogs are welcome at Bella Vista! 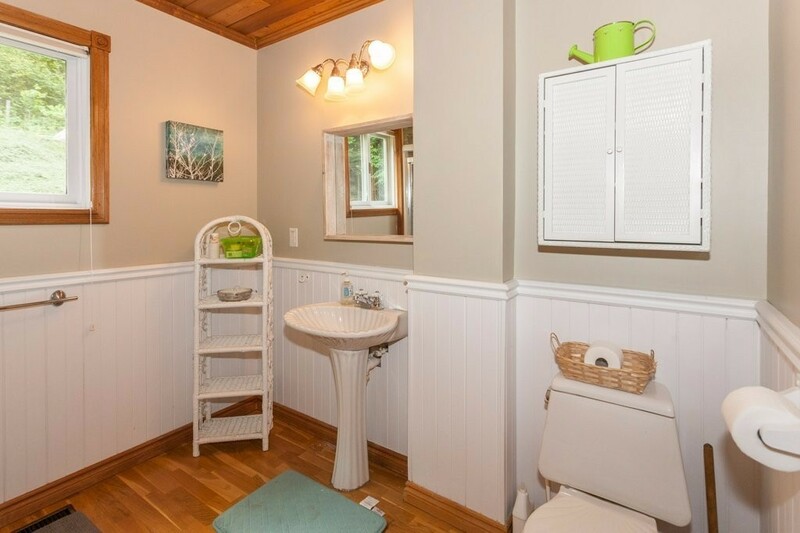 Thank you very much for sharing your beautiful cottage. Had all the comforts of home and the benefits of the beautiful surroundings. The kids enjoyed sledding, building forts and watching the family of deer running across the lake. We rented cross-country skis at Source for Sports in town and greatly enjoyed our first attempt at skiing. Highly recommend the Moosewood Trails for people who people who want to ski. We also visited the Wolf Sanctuary and it was a wonderful way to spend the afternoon. Our family came from Thailand. Your place is beautiful and cozy. We enjoyed our stay here. Thank you for making it our home away from home for these two days. Thank you for letting us experience the beauty of this wonderful place both inside and outside of this magnificent cottage. The house is spacious and very well arranged. The lakeside view and the cool breeze from the lake was soothing! We will definitely be back for a longer stay in the summer. We've had a calm and rejuvenating two weeks. We've had a great time. 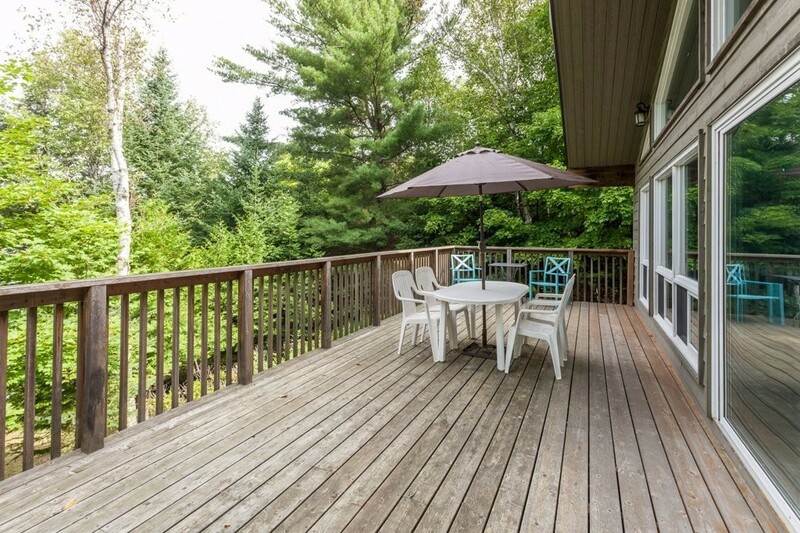 Haliburton is such a wonderful area to explore and Bella Vista has been the right home base for us. It suits two families perfectly as each group has its own space to retreat to. Our week at Bella Vista was fun and relaxing! 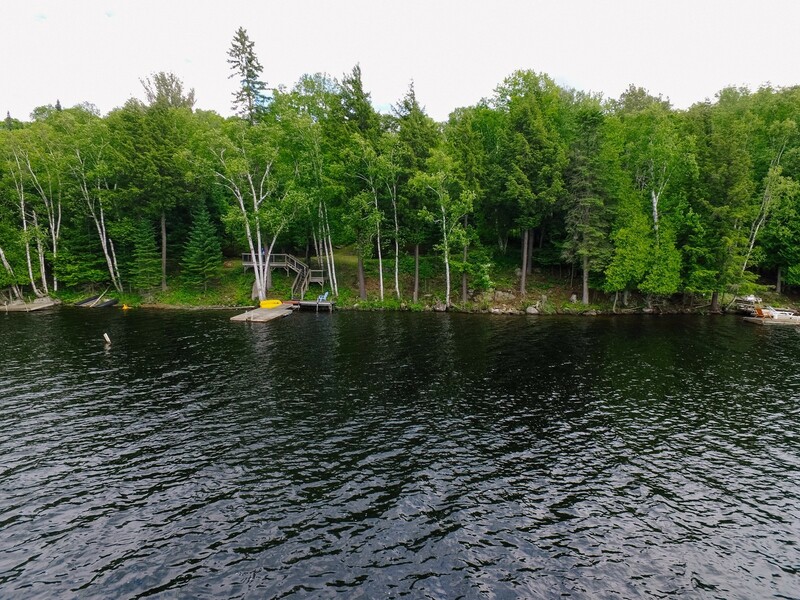 Your cottage is wonderful and the lake is a great place to swim and fish. We caught a bunch of small bass along with a 4 pounder! We enjoyed spending time together along with the red squirrels, chipmunks, blue jays, scarlet tanagers, hummingbirds and loons. Thank you for allowing us to share in the beauty of this place! We had a great time this week! 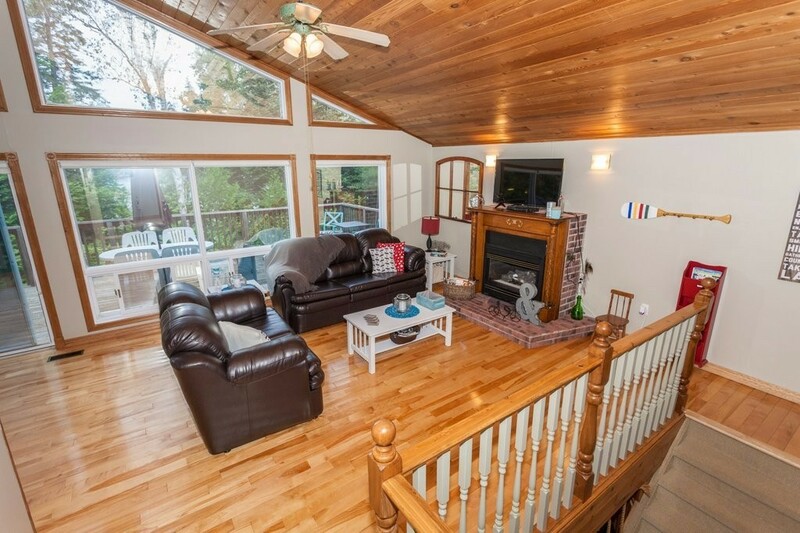 The cottage was very well maintained and Extremely Relaxing. Would LOVE to come back again next year!! Loved the lake and scenery and eating dinner out on the deck. P.S. There were lots of chipmunks and red squirrels. We named one of the chipmunks "Peanuts"
We all enjoyed our stay at Bella Vista! The lake was beautiful and very peaceful. The call of the loons was especially enchanting. Every one of us loved our time by the water - kayaking, swimming & just relaxing. Thank you so much for sharing your beautiful cottage with us for the week! We enjoyed spending time on the dock and visiting the large snapping turtle that lived underneath : ) We didn't have much luck when it came to fishing but this week was the perfect way to celebrate a 30th wedding anniversary and our baby boy's first vacation! What a great week we had! Thank you so much for a comfortable & well-stocked cottage. We spent most of our time on the dock & enjoyed all the water toys. Only caught one fish on the first day though : ( but we enjoyed sharing the water with our friend, Mr. Snapping Turtle. Thanks again & we'll see you next year! Thank you so much for renting your lovely cottage to us. It was a wonderful family gathering celebrating a milestone birthday! We couldn't have wished for a better cottage and location. We found everything we required to make our stay so very special! Thank you for letting us stay at your beautiful cottage! It's a great place to wind down and relax. We had a lot of fun using the canoe, row boat and paddle boat . The water also felt great! We also tried fishing but didn't have much luck. Anyway, we had a lot of fun here. Thank you Dean and Serenity Vacations for allowing us to spend a fantastic week in Bella Vista. We all had a fabulous time, fishing, fire pits and fun. We have already made arrangements to return next year. Talk about Serenity!! We enjoyed our stay. We saw all sorts of different animals up close. THIS PLACE IS SO MUCH FUN. We enjoyed playing some of the board games. And we had a lot of fun playing on the Wii. We got more family time then usual when the power shut down so we had more fun. We also went outside to see all the different animals and to look at the frozen lake. During the power outage we played a game together, that we were in survival mode and the Zombies were coming. Thank you for making this place cozy for us. We are having a great winter get-away at this lovely cottage. We've skied on the lake and at the Haliburton Sculpture Forest. The driveway is an epic toboggan hill, and instead of having to trudge up the side of the hill, there are stairs! We awoke to 3 deer in the backyard, part of a herd of 9 that we saw later on the lake. The fireplaces are warm, the beds are comfy, and the spaces very functional. We had a weekend that was both fun and relaxing. 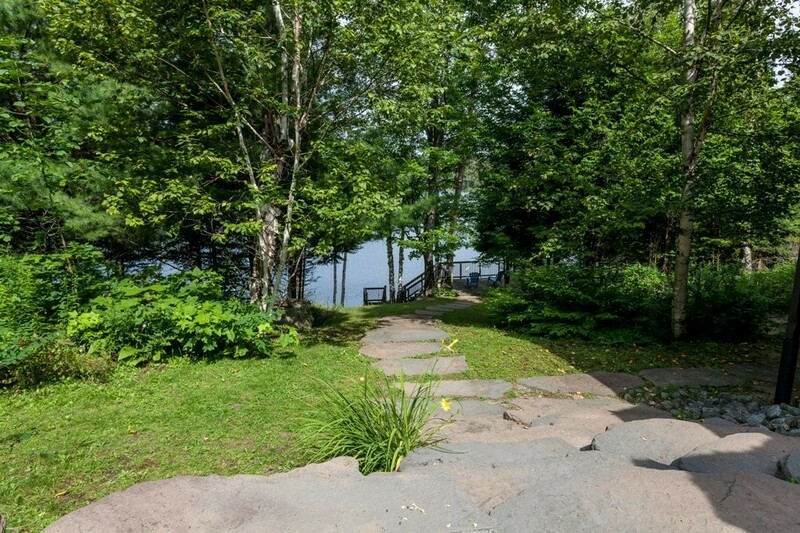 Thank you for sharing your cottage with us. We had so much fun! We took advantage of the snow and the warmth of the fireplace afterwards. The cottage was a perfect place to unwind after the hustle and bustle of Christmas. What a great way to ring in the new year! We loved the warm fires and hot baths after our cold days of playing in the snow. We had a wonderful week at your cottage. Our family got together here after more than a year that we have been apart. We had the best time cooking, BBQ (-30 C!) watching movies and relaxing all together. This has been one of our best Christmas. We are all having such a hard time leaving today. It was so relaxing to get out of the noise and city and land in your little paradise. Thanks! We wish you a blessed New Year. We wish you get 10 times the great memories you allowed us to build at your place. Thank you so much for opening your home to us. It was so Serene. The comforts, little specific thoughts and touches that went into making your home welcoming is spectacular. 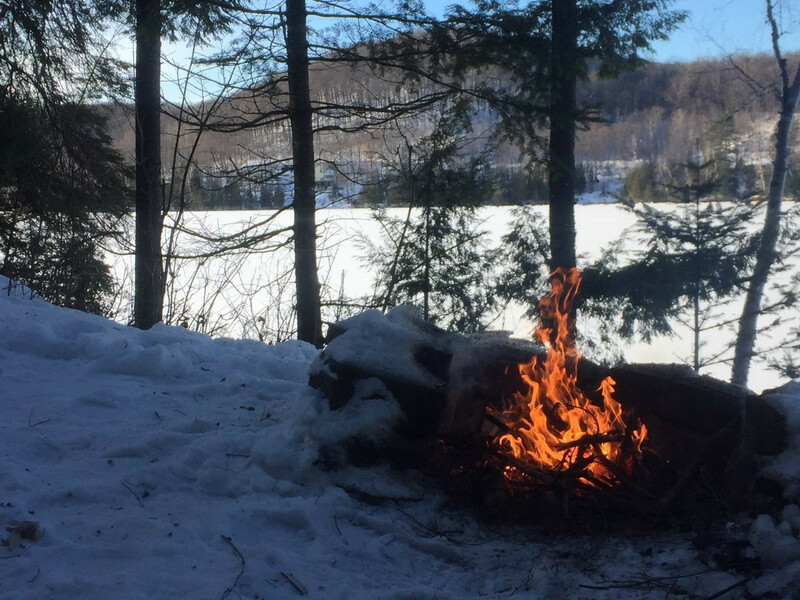 We were able to just chill away from city noises and enjoy cozy fires, reading, TV, ATV trails and a special first time visit to the Haliburton Forest to see the wolves. We (were) even able to take beautiful pictures and listen to them howl. Splendid time. Must do again. Thank you for opening your lovely home to us! 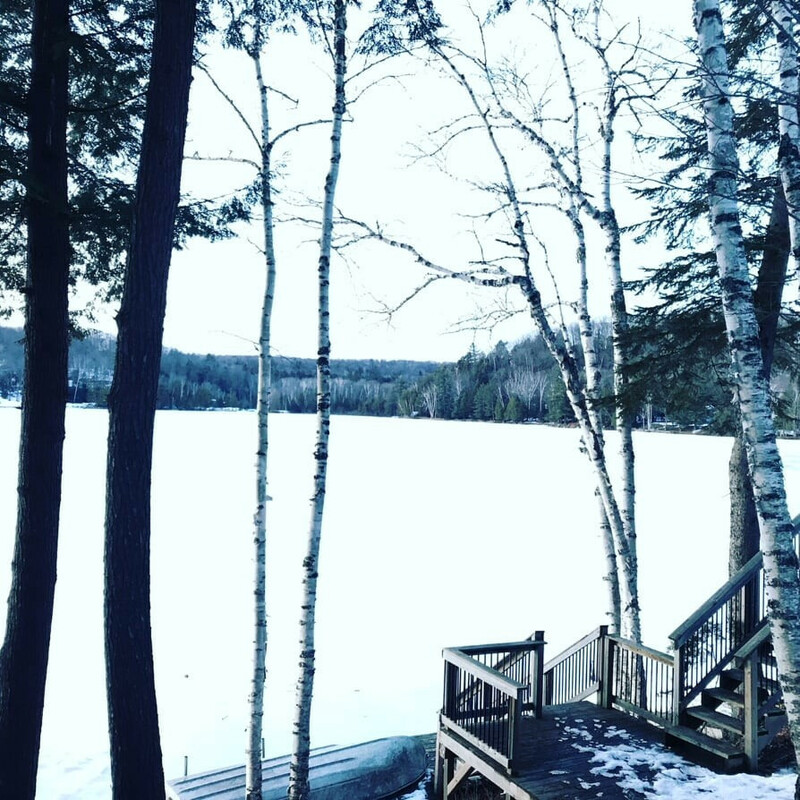 It was the perfect place for a peaceful weekend getaway and a great reminder that winter is truly here! It was a great place to gather with friends & family to celebrate my birthday. The lake covered in snow and ice was picturesque and the perfect place to view the stars at night. Can't wait to come back! While the nature has given the ultimate gift to your place in terms of beauty, it is your thoughtful planning that made our experience wonderful and fantastic. Our weekend at your place had more than comfort, we truly felt the coziness and warmth that you had meant. 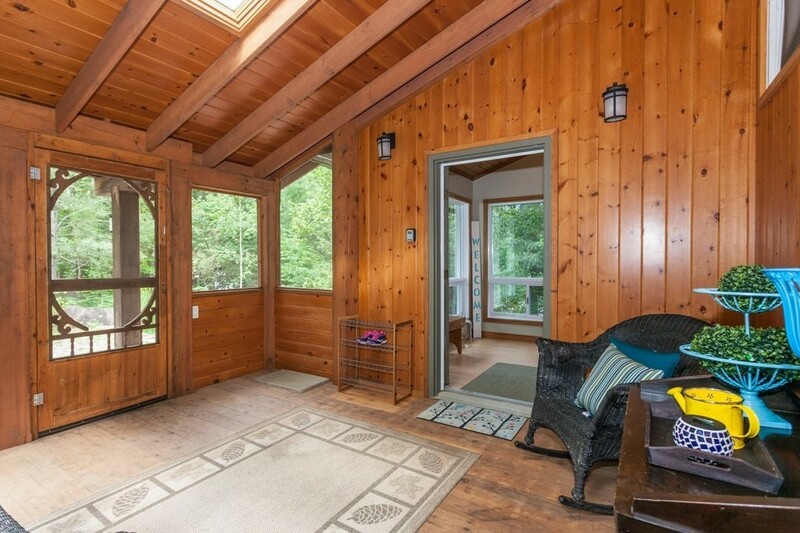 Thank you - Cottage is beautiful! Thank you very much for letting our family stay at this beautiful cottage. We rented many cottages around the world and this was one of the best we have stayed in. Three days have gone by so fast. Our family enjoyed fishing in the sun & the BBQ. The trails in the area were also beyond expectation. We will definitely return next year as our family will be leaving with a great memory. 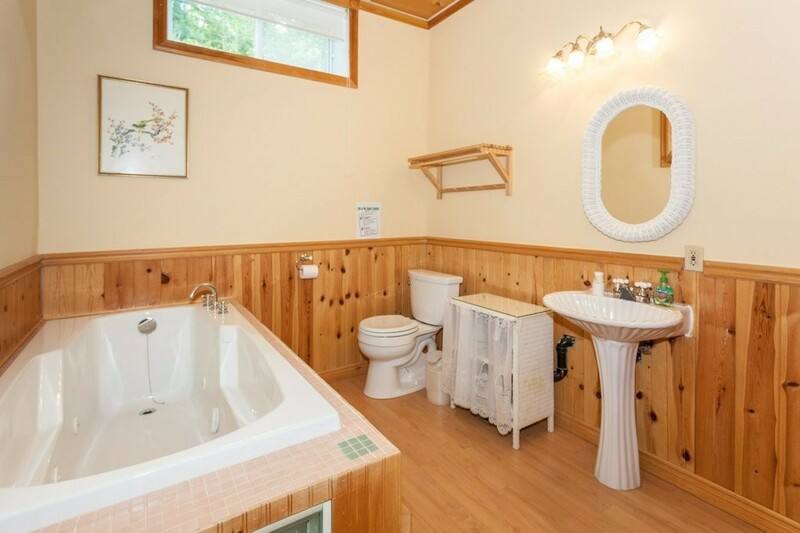 Thank you so much for letting us rent your cottage. 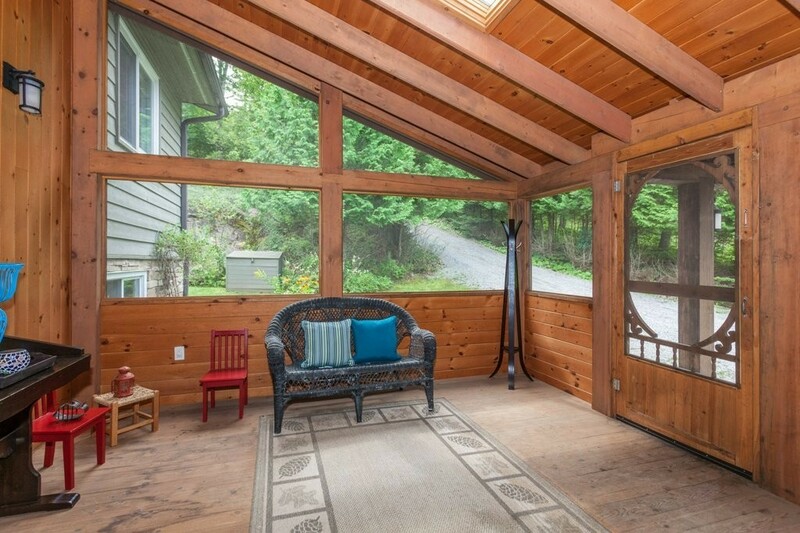 The weekend was beautiful just like this cottage! Everything was absolutely perfect and we enjoyed every second of our stay. Thank you for the warm welcome and bottle of wine. We look forward to visiting again soon. Thank you so much for allowing us to escape our boring lives and come to this amazing cottage! The view was breath taking! We enjoyed the lake for hours on end, kayaking, canoeing & the pedal boat. We definitely will look to coming back or see some of the other properties! We stayed over Sept 8-10 and were 10 people. We want to extend our greatest gratitude for the effort, organization, and hospitality that this gorgeous property provides. Everything (even a pasta cooker lol) was available for our many needs & comfort. The view was breath-taking. We can't wait to revisit this or any of your other properties. We are looking forward to it. Thank you so, so much! Thank you so much for letting us rent your cottage. We had a wonderful week, very relaxing. We did some of the things your sign said in the kitchen. We slept in too long, ate too much, played games, read books, took walks & many pictures were taken. We tried a fire one night but the wood we bought was too wet & the mosquitos were so bad we went inside. We also played some great golf at some beautiful golf courses in the area. The cottage was very comfortable & cozy. Everything was in it that we needed, and the welcome sign & gestures were a really nice touch. At Bella Vista, all beds and mattresses come with high thread count sheets provided for your stay. There are three bedrooms in total and an additional sleeping area in the recroom. 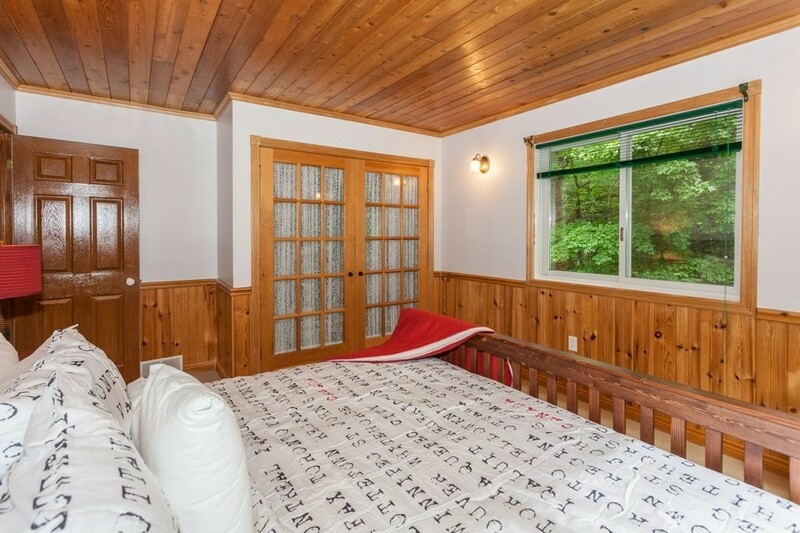 The two upstairs bedrooms feature a King size bed and a Queen. In the lower level, there is one more bedroom plus additional sleeping area in the recroom. 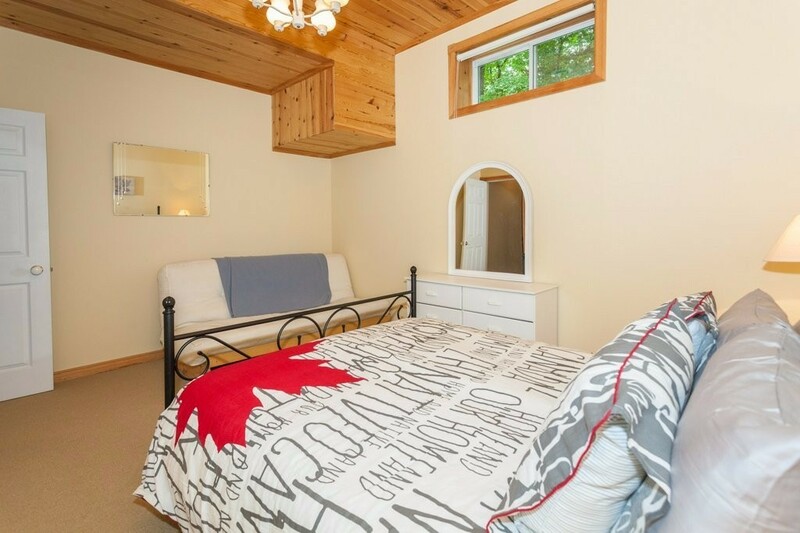 This bedroom features a Queen sized bed and a fold down futon bed. 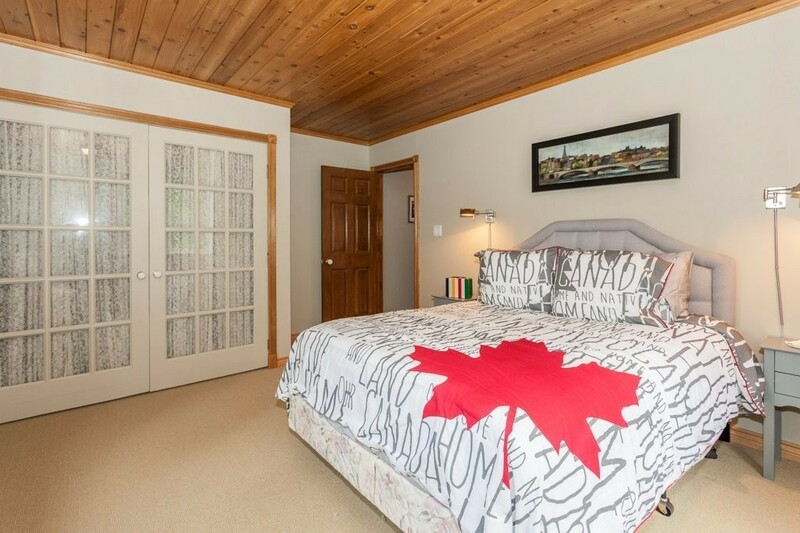 The rec room has two double beds, great for a kids hangout or extra sleeping for extended family! All linens, towels, and pillows are provided and are freshly made for your arrival! 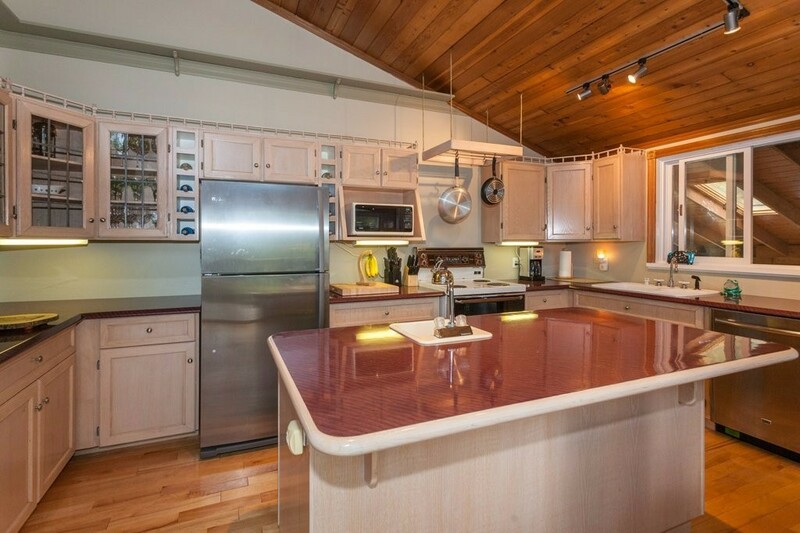 Fully equipped Kitchen, Dining Room, Family Room, 3 bedrooms + additional sleeping areas, 2 bathrooms. 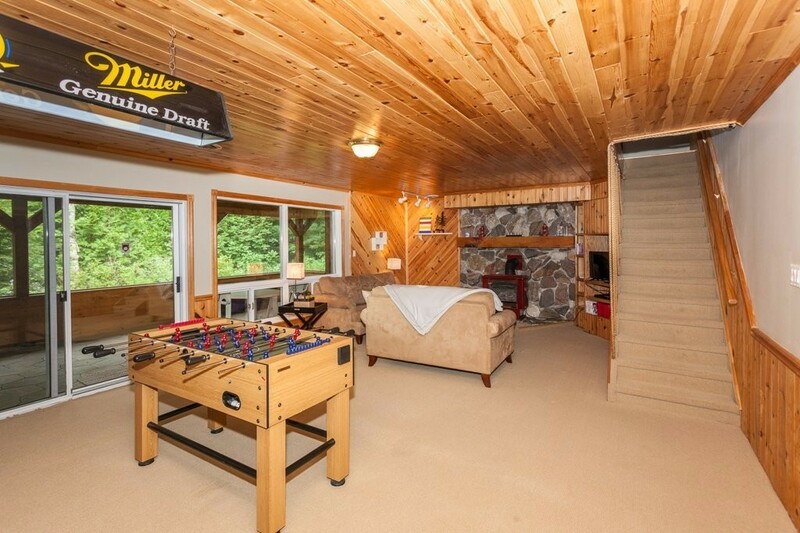 Recroom with Foozball, Wii system and games, TV's, books, movies, and Unlimited Internet. Refrigerator, Oven, Stove, Microwave, dishwasher, Toaster, Slow cooker, Propane BBQ, Washer, Dryer, Coffee Maker, Kettle, All the comforts of home. Shuffleboard table, Foosball table, Board Games and Books. Rails End Gallery & Arts Centre - 9 min. Back Country ATV & Snowmobile Rentals and Tours - 9 min. Head Lake Trail - 9 min. Haliburton Sculpture Forest - 13 min. 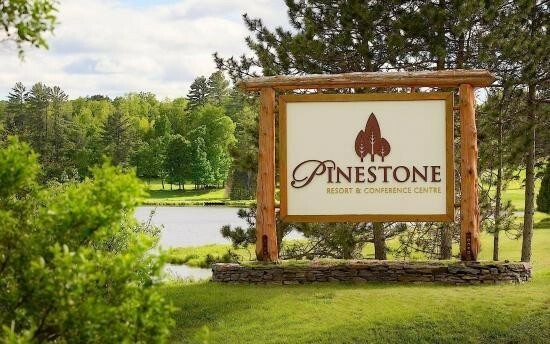 Pinestone Golf Resort - 14 min. 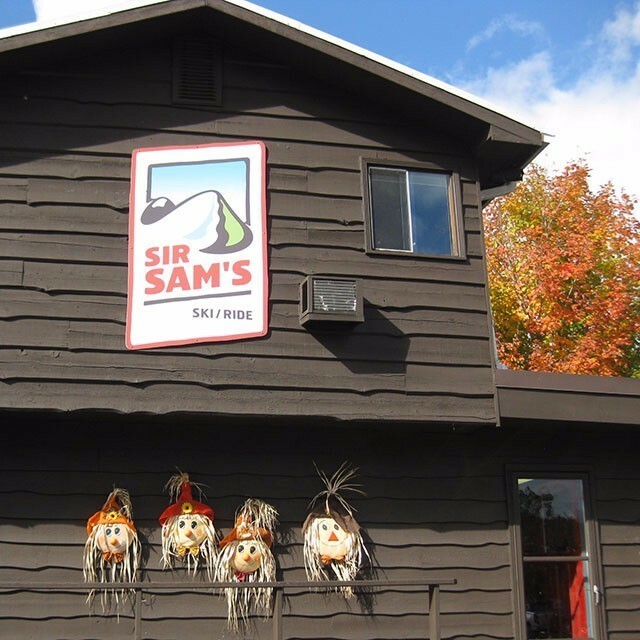 Sir Sam's Ski / Ride - 22 min. Minden Wild Water Preserve - 24 min. Blairhampton Golf Club - 27 min. 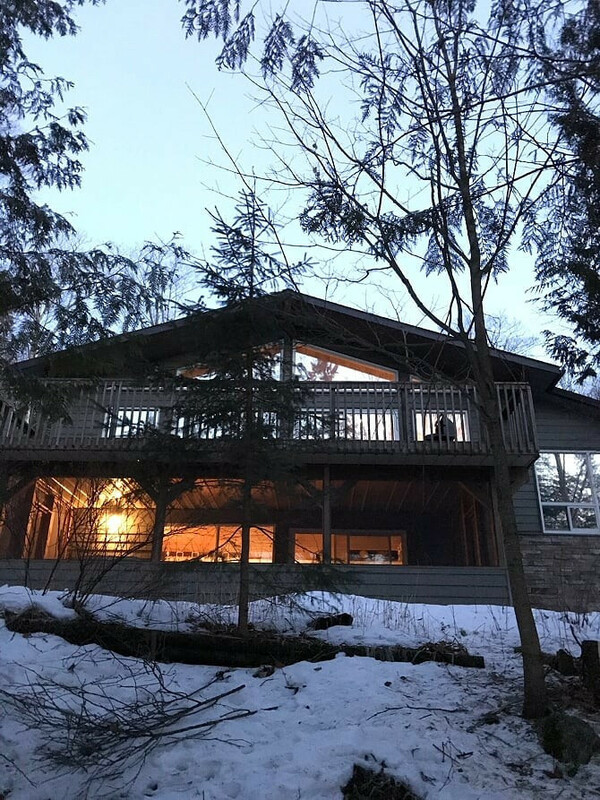 Haliburton Forest and Wildlife reserve, Astronomy Centre, Wolf Centre, Walk in the Clouds, Dogsledding, Snowmobiling, Icefishing - 33 min. Winterdance Dogsled Tours - 33 min. We are the Trento family - Steve, Katie, Max and Luci. 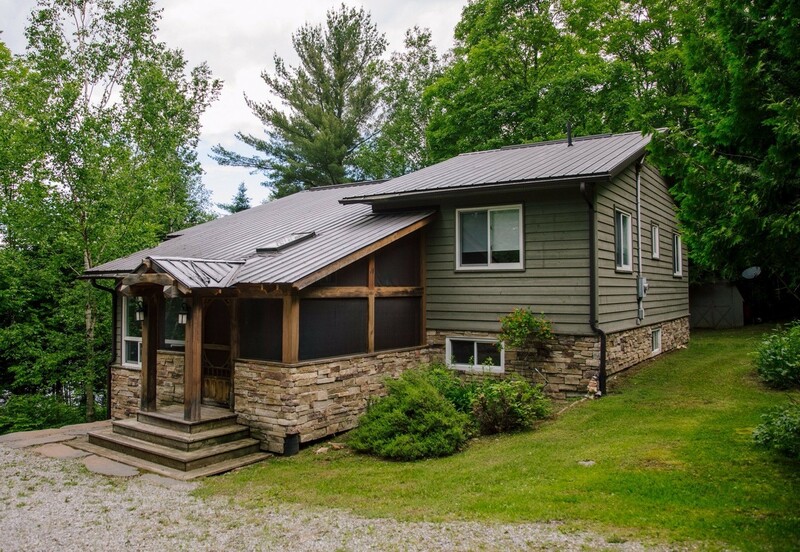 We spent almost two years hunting for the right cottage and instantly fell in love with the Haliburton area. 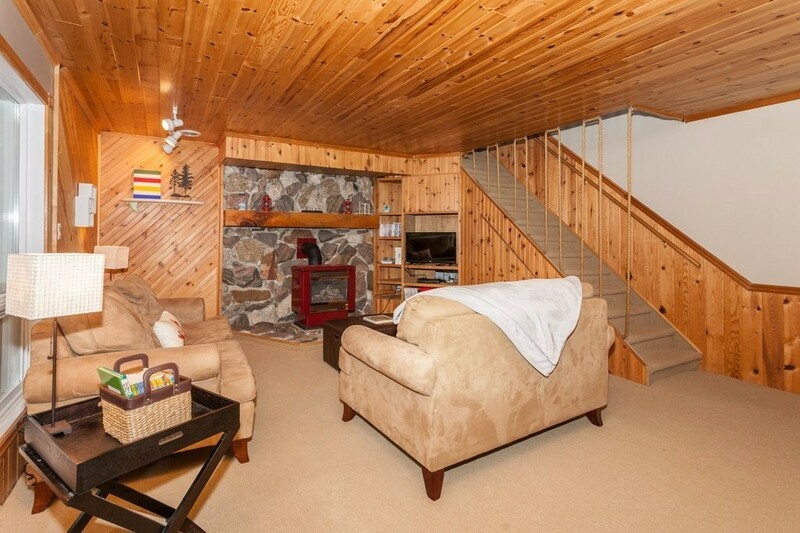 We are a busy family and we searched for a cottage that we could enjoy all year round. We think "Bella Vista" is the perfect place for swimming, fishing and spending quality time together as a family. 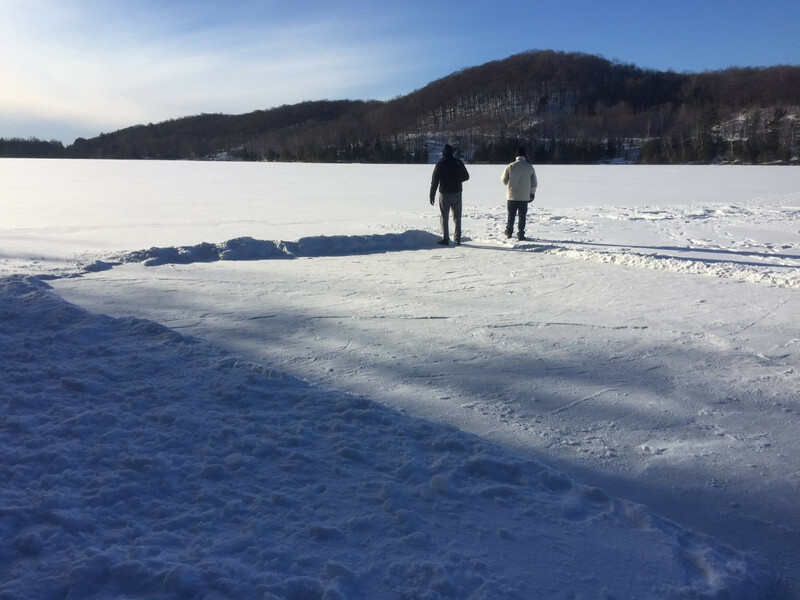 We enjoy being outdoors and are excited to participate in all of the activities that the Haliburton area offers for year round entertainment. 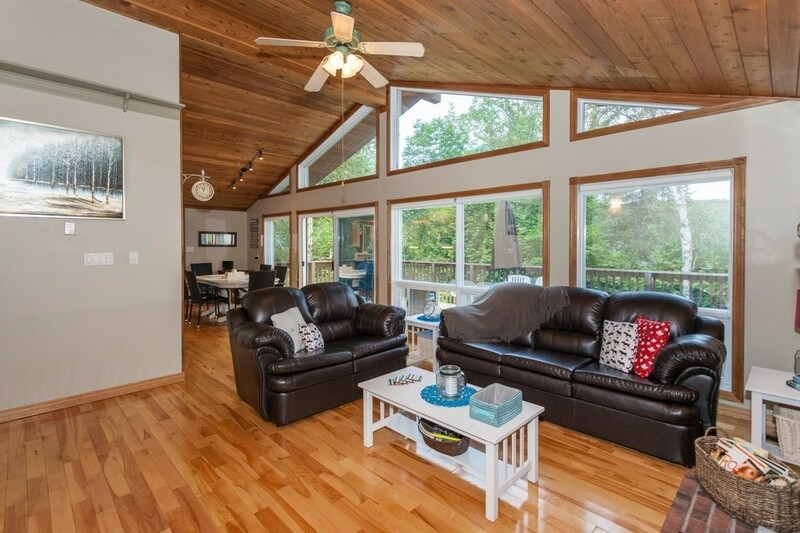 South Portage Lake is absolutely stunning and we know you will agree. We hope you enjoy Bella Vista as much as we do and we look forward to reading your guestbook entry telling us about the fun times that you've had!.